Advanced in technology, civilized and with a population of billions, Magalan was a planet looking to the future. Then the meteor hit. Those who survived are now trapped in a battle to survive, a struggle to decide the fate of a planet. At the center of this fight is the element "Elex". A precious, limited resource that arrived with the meteor, Elex can power machines, open the door to magic, or re-sculpt life into new, different forms. But which of these choices should be the future of Magalan? Can technology, or magic save this world? Or will this new power destroy all those left alive amongst the ruins? 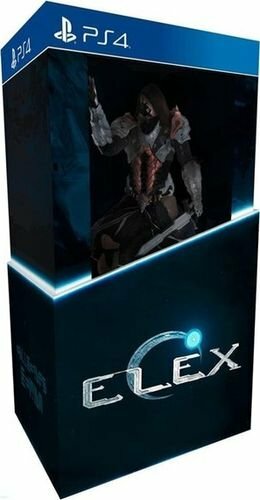 ELEX is an action, role-playing open world game for PC and Consoles, developed by Piranha Bytes, creators of the award winning Gothic series and is set in a brand new, post-apocalyptic, Science-Fantasy universe where magic meets mechs. Be it a hammer, a rocket launcher or the power of magic, ELEX balances science, fantasy and brute force to let you choose the combat style that fits your role best!